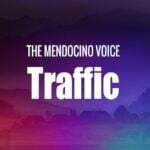 MENDOCINO Co., 4/12/18 -- The discovery of personal items, and pieces of a vehicle, have all but confirmed that it was indeed the the Thottapillys, a family of four from Valencia, that perished when their vehicle slipped into the Eel River on Friday, April 6. 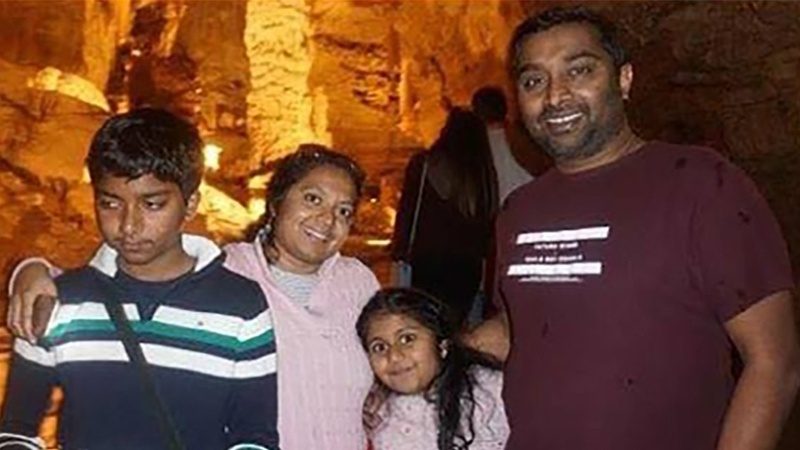 Sandeep Thottapilly, 41, Soumya Thottapilly, 38, and their two children Siddhant, 12, and Saachi, 9, were traveling from Oregon to a friend's house in San Jose, and were last seen in the town of Klamath on April 5.
the Eel last Friday, and the Thottapillys have been missing since. 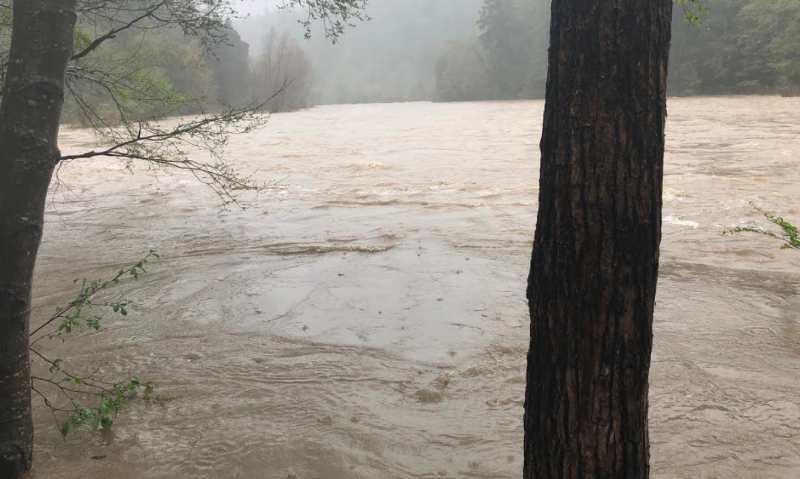 On Tuesday and Wednesday of this week, river conditions allowed local area rescue agencies, including the Little Lake Fire swift water team, and the Humboldt County Sheriff's Office with their boatside sonar, to go into the river and probe with long poles. They recovered pieces of a car matching the Thottapillys' maroon Honda Pilot, and personal effects. 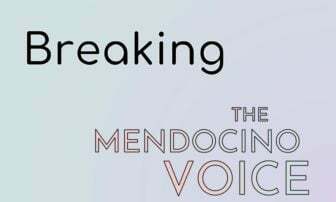 The Mendocino County Sheriff's Office stated in a press release issued today that, "Several items have been positively identified, by family members, as belonging to the Thottapilly family. " The car has not yet been found, nor have any bodies, but the river has been high and moving swiftly due to the recent storms. The discovery of the items, makes it clear that it was the Thottaphillys' car that went into the river on April 6, though without positive identification of any bodies, the family remains listed as missing, rather than deceased. In their press release the MCSO thanked these agencies for their cooperation: San Jose Police Department, Southern Humboldt Technical Rescue Team,Humboldt County Sheriff's Office Boat Team, Piercy Fire Department, Leggett Valley Fire Department, Little Lake Fire Department, Ukiah Valley Fire Department, Hopland Fire Department, Fresno County Sheriff's Office, California National Guard, CalFire, and the California Governors Office of Emergency Services. The Mendocino County Sheriff's Office and the California Highway Patrol, Garberville Area Office, are continuing their efforts along the South Fork of the Eel River, just north of the town of Leggett CA, to locate and recover a vehicle that was reported to have been submerged in the river on around 1:10 PM on Friday 4/06/2018. During their investigation the Highway Patrol discovered a possible car part, that was thought to have been broken from the vehicle, at the scene. Through their investigation they were able to determine that particular part belonged to a Honda Pilot, maroon in color. 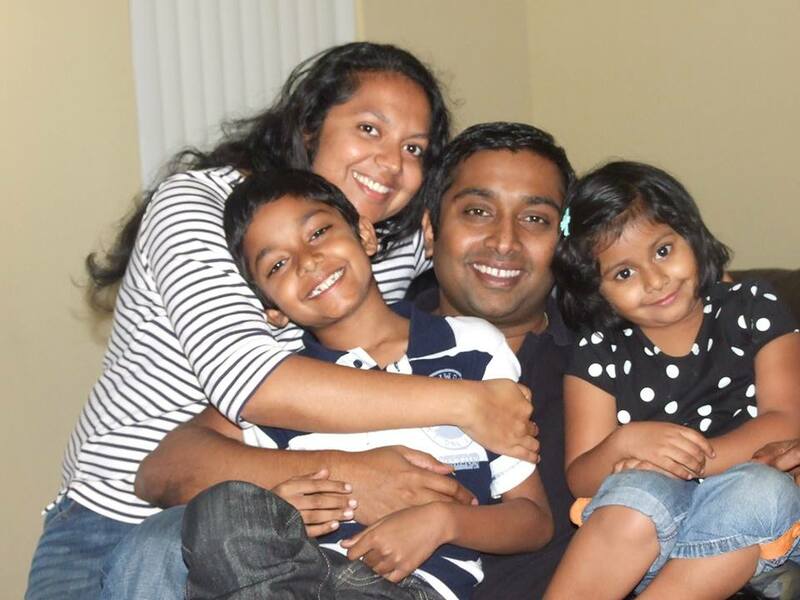 On Monday 4/9/18 the Highway Patrol became aware of an overdue family of 4, the Thottapilly family from Santa Clarita CA, who was believed to be traveling through the Redwood Coast Highway, on vacation. Their investigation later showed the overdue family was supposed to have arrived to visit a friend in the San Jose area on 4/6/2018 but did not make it as scheduled. The family was last heard from in the town of Klamath, Del Norte County, on 4/5/2018. The Highway Patrol developed information this family were traveling in a family vehicle, a 2016 maroon Honda Pilot. The family was officially reported as missing to the San Jose Police Department on 4/8/2018. The California Highway Patrol contacted the Mendocino County Sheriff's Office in the early afternoon of Friday 4/6/18 regarding the availability of the Mendocino County Sheriff's Search and Rescue Dive Team to evaluate the possibility of vehicle recovery. After a complete assessment it was determine that diving or swift water rescue operations could not be conducted in a safe manner due to the height and flow of the river during the storm. The Sheriff's Office and the Highway Patrol agreed to do continuous evaluations as the river levels receded. On 4/10 and again on 4/11/2018 it was determined the water levels would allow the insertion of Swift Water Rescue Teams to conduct a bank search as well as some limited "probing", a technique using a long pole being probed underwater to see if the vehicle or anything metallic could be located. The teams accessed the river in inflatable boats and on River Boards, a small floatation device designed to allow full access under overhanging trees or tight areas not accessible by boat. The Humboldt County Sheriff's Office also assisted with the use of their jet boat with side scan sonar system. Between the two search days the teams were able to cover approximately 12 miles of river bank. The teams were unsuccessful in locating the vehicle or any occupants from the vehicle. They were able to locate numerous items that appeared to have come from a vehicle body and interior. Some of these items were consistent with a Honda vehicle. Also located were various personal items that were consistent with a family traveling on vacation. Several items have been positively identified, by family members, as belonging to the Thottapilly family. These items were of a personal nature and will not be described further at this time, but it does confirm the fact the vehicle that was seen going into the river was that of the Thottapilly family. 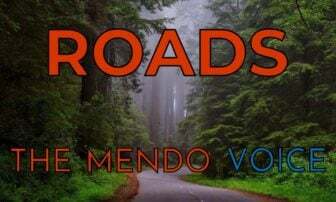 The Mendocino County Sheriff's Office has been in contact with numerous other county dive teams and technical rescue responders that can be called upon, when the vehicle is located, to assist with recovery of the vehicle. Once recovered the Highway Patrol will conduct a complete mechanical inspection of the vehicle as part of the accident investigation. A joint Press Conference of the California Highway Patrol and the Mendocino County Sheriff's Office will be held at the Leggett Cal FIRE Station, 69310 North Highway 101 Leggett, at noon on 4/13/2018 to answer any press related questions related to this investigation. 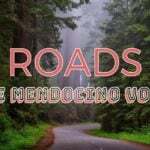 California Governors Office of Emergency ServicesOngoing press releases and updates/photos will be posted on the Mendocino County Sheriff's Office facebook page as information becomes available (https://www.facebook.com/MendocinoSheriff).Anyone wishing to subscribe to the Sheriff's Office automated press release notification system can do so by visiting www.mendocinosheriff.com and by accessing the press release page on the website. "The Mendocino County Sheriff's Office and the California Highway Patrol, Garberville Area Office, continued their efforts along the South Fork of the Eel River, just north of the town of Leggett CA, to locate and recover a vehicle that was reported to have been submerged in the river at approximately 1:10 PM on Friday 4/06/2018. During their investigation the California Highway Patrol discovered a possible car part, that was thought to have been broken from the vehicle, at the scene. Through their investigation they were able to determine that particular part belonged to a Honda Pilot, maroon in color. On Monday 4/9/18 the California Highway Patrol became aware of an overdue family of 4, the Thottapilly family from Santa Clarita, CA, who was believed to be traveling through Humboldt and Mendocino County on US-101, while on vacation. In cooperation with San Jose Police Department, it was determined the overdue family was supposed to have arrived to visit a friend in the San Jose area on 4/6/2018 but did not make it as scheduled. The family was last heard from in the town of Klamath, Del Norte County, on 4/5/2018. The California Highway Patrol developed information this family were traveling in a family vehicle, a 2016 maroon Honda Pilot. The family was officially reported as missing to the San Jose Police Department on 4/8/2018. The California Highway Patrol contacted the Mendocino County Sheriff's Office in the early afternoon of Friday 4/6/18 regarding the availability of the Mendocino County Sheriff's Search and Rescue Dive Team to evaluate the possibility of vehicle recovery. After a complete assessment it was determine that diving or swift water rescue operations could not be conducted in a safe manner due to the height and flow of the river during the storm. The Sheriff's Office and the California Highway Patrol agreed to do continuous evaluations as the river levels receded. 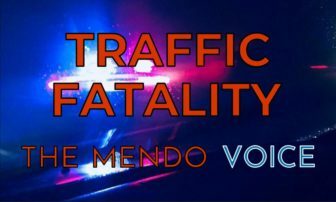 The Mendocino County Sheriff's Office has been in contact with numerous other county dive teams and technical rescue responders that can be called upon, when the vehicle is located, to assist with recovery of the vehicle. Once recovered the California Highway Patrol will conduct a complete mechanical inspection of the vehicle as part of the accident investigation. California Governors Office of Emergency Services"